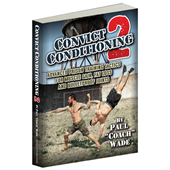 Add this book to your kettlebells book lineup! 159 pages. Paperback 8.5 x 11. 237 photos, charts and illustrations. Nothing ages us faster than the lack of regular, effective exercise. Muscles melt away, bones go brittle, posture stoops, skin sags, flab hangs—and joints creak. Pain, fear and fatigue become our constant companions. The good news is that there is one form of exercise which can give you immeasurable health benefits, whatever your age. Regular, well-designed kettlebell workouts may not only reverse many symptoms of aging, but will actively contribute to building your strength and power well into your 50s, 60s, 70s and 80s. Andrea Du Cane's Ageless Body presents a complete De-Aging Masterplan, that gives everyone from the raw novice to the experienced athlete an opportunity to defy physical decline and hone themselves—safely, simply and progressively—into the muscular, energetic, magnetic specimens they deserve to be. How sure are we that The Ageless Body (paperback) will work for you? Simply fill out the form below and put The Ageless Body (paperback) to work for you right now. Obviously, we would go out of business if The Ageless Body (paperback) didn't work, the way we said, right? With the promise of a full refund if you're unsatisfied, you have nothing to lose by trying The Ageless Body (paperback). Go ahead and try it today. "Nothing ages us faster than the lack of regular, effective exercise. Muscles melt away, bones go brittle, posture stoops, skin sags, flab hangs—and joints creak. Pain, fear and fatigue become our constant companions. The less you exercise, the faster you decline. However, not all exercise is created equal. Many forms of exercise may at best put you in a holding pattern, while other forms of exercise might even exacerbate your health issues. Kettlebells are the only handheld weight that allows you to exercise aerobically, for cardio as well as anaerobically, for strength training. The kettlebell is the unique "gym in your hand" that can reward you with decades of high-yield health benefits. 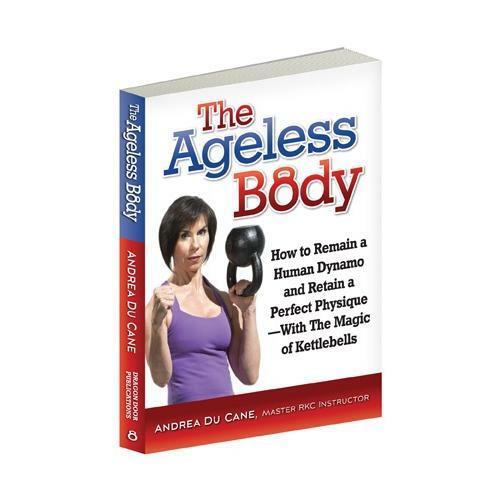 Andrea Du Cane’s The Ageless Body presents a complete De-Aging Masterplan, that gives everyone from the raw novice to the experienced athlete an opportunity to defy physical decline and hone themselves—safely, simply and progressively—into the muscular, energetic, magnetic specimens they deserve to be. The Ageless Body provides everything you need to start training with kettlebells, whatever your current age or condition. Bonus sections cover warm-ups, joint mobility, balance and stability—to ensure your anti-aging kettlebell program covers all the essential elements for a long, active, safe and pain-free life. Enjoy! Andrea Du Cane’s companion DVD, The Kettlebell Boomer has been acclaimed by major authorities as one of the most significant programs of its kind—and The Kettlebell Boomer has established itself in the Top Ten Dragon Door DVDs by Review. "If you choose to reclaim your youth, look no further than The Kettlebell Boomer. Andrea Du Cane possesses a razor sharp mind and the kind of attention to detail that separates the high-end professionals from the also-rans. Which shall become obvious once you watch her DVD. Youth is a choice. Make it." —Pavel Tsatsouline, author of Enter the Kettlebell! Possibly the Most Important DVD Made Since Enter the Kettlebell! "Watching The Kettlebell Boomer reminded me of my parents and the necessity to get the transformative power of the kettlebell into the hands of the Baby Boomer Generation. This DVD will do just that. The Kettlebell Boomer truly demonstrates that kettlebells are for EVERYBODY and no bodies need it more right now than the Boomers. This DVD is the solution to aging gracefully and it couldn't come at a better time than now. My hope is that members of the Boomer generation, with the help of my generation (Gen-X), experience what we already know - that ‘when we say kettlebells, we mean strength. And when we say strength, we mean kettlebells.’"
"Andrea Du Cane is not a Master Instructor for nothing. She has been there from the beginning of the Kettlebell Invasion and is still leading from the front. In fact, she was my Team Leader when I got certified in 2005 and was a tough, fair and exacting instructor. She only wanted you to do things technically correct so that you could make the best progress you could, safely. Her emphasis on technique and execution over sheer loads makes a big difference, especially when one is in the second half of their journey. Her interest in working with the general population led her to always emphasize corrective drills, stretching, mind body connection and safety first, way before it became so popular. Her newest DVD The Kettlebell Boomer is perfect for those that want a solid introduction to all the basic kb exercises as well as progressions and techniques that let them go slowly into this brave and perhaps scary new world of the kettlebell. Given that there are 76 million people in this age range this is a product that needed to be made. One of the charges we ask of ourselves when certifying potential RKCs is whether we would feel safe having them train our mothers. With this DVD any instructor will have even more tools to safely bring deconditioned, older people into the kettlebell community with confidence." "The Kettlebell Boomer by Andrea Du Cane is full of excellent progressions, variations and techniques targeted at the ‘senior’ population. Trainers will want this product so they can effectively integrate the Kettlebell into the routines of their ‘senior’ clients and Seniors will want this product to enhance their own Kettlebell practice or to enter into Kettlebell training. With 4 experience levels, the ‘self screen’ and the variations and progressions provided, this DVD can open the world of KB training to the older clientele." "Have you ever wondered how to overcome your physical limitations (or your clients’) to optimize your performance and get real results from your kettlebell workouts? When I owned my gym, 90% of my clients were boomers who came to me with some sort of pre-existing injury or impingement that limited the progress we could make together. Of course as an RKC, I had some tools in my toolbox to help them make breakthroughs, but I didn't have The Kettlebell Boomer. I remember both of us walking out of some training sessions frustrated that we didn't make the progress we intended to make. Has this ever been you? Students in the DVD are varied in their limitations and you will find either yourself or your client in this DVD. Du Cane teaches you with sound methods how to work within and even overcome limitations. You will learn how to reverse the effects of aging in a easy to understand format—Du Cane is professional and engaging. 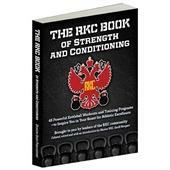 Complete and thorough instruction on how to adapt certain exercises to specific limitations. Du Cane demonstrates how to shatter plateaus, boost performance and maximize results! Did you know boomers are estimated to be 80 million strong by 2020? As a trainer you must know how to train this group of people and as a boomer you should know that you don't need to be limited in your kettlebell training. What was the experience you had recently that left you feeling frustrated after a training session? I am willing to bet that after you watch The Kettlebell Boomer you will no longer feel like you (or your client) just didn't do enough or that you (or your client) just can't perform certain kettlebell exercises. Get The Kettlebell Boomer now!" 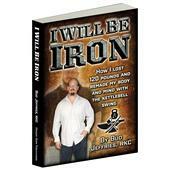 Rated 10/10 Add this book to your kettlebells book lineup! I 'burned out' on kettlebells, and didn't use them for several months. I, in my late 50s then, pushed too hard, too much weight, not enough knowledge; and I quit. I gave away most of my kettlebells books and my 2 heaviest monsterbells; I was hurting myself (i.e. chiropractor visits), and I just gave up on them. Recently, I got Kettlebells for Dummies book and that got the urge to try again, going. I had even messed up doing Andrea DuCanes' Boomer dvd! Recently DragonDoor came out with this book; I thought why not? and I ordered it. I used the book along with the Boomer dvd soon after I opened the book package. The booik is easy to understand, for safety and health concerns; the exercises are laid out in easy to learn fashion. Now, I know more about what I was doing wrong before; with this book and the Dummies book, I will be able to work out better, and more safely than before. I would recommend buying the Boomer dvd and this book as a set, especially for seniors, those with health/injury concerns and beginners too. 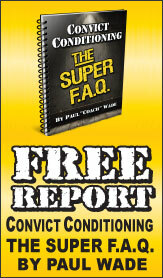 As a personal trainer whose clientele includes many seniors, I found the book helpful. Even though I am an experienced kettlebell user, the information was useful. The exercises, and especially the stretches and warm-ups were good. 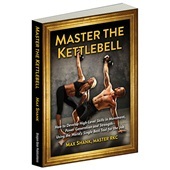 I would recommend the book to individuals who are starting with kettlebells, or to trainers looking for knowledge with training older adult populations. 76 million people may need this book, but I am not one of them. As a long time follower of developments on dragondoor, I found the book a tepid repackaging of material covered in more depth elsewere..